The card product allows ward staff to simply determine the correct fluid output for a patient of a given wait. This simplifies fluid balance calculations, and aids the recognition of sepsis. 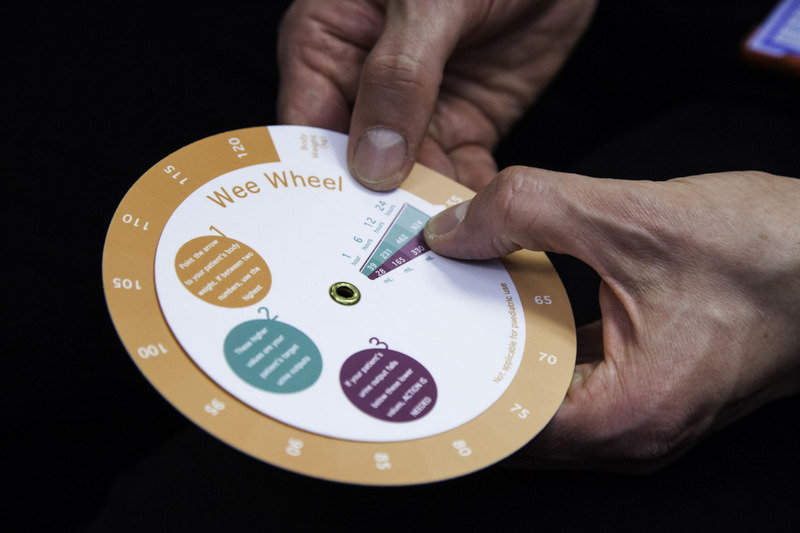 The 'Wee Wheels' are currently batch produced and in trials in hospitals across Wales.